This book, a natural outcome of the Michael and Sarah Walker family reunion of 1985, traces the growth of the family they established in Tasmania from 1842 to time of writing. On 1st December 1834, a young couple married at Tottington in the county of Norfolk, England, according to the rites of the Anglican Church. The bridegroom, Michael Walker, was twenty one years of age, and his bride Sarah, nee Goss, a year younger. Less than seven years later they left for Van Diemen's Land with three young sons, of whom the eldest, William, was not quite six years of age, and the youngest, Samuel, little more than seven months. The second son, John died at sea on the ship Arab, shortly after departure from England, at the age of two years and three months. His body was committed to the deep off the coast of France. 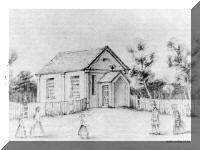 Michael and Sarah's fourth son, who was born at Annandale, Perth, Van Diemen's Land, was also named John. The first John is believed to have died of asthma; the second is known to have suffered sorely from it throughout his life. In addition to the few bare facts recorded above, a single reference by Michael to life in England prior to migration has been remembered: an allusion to his skill with the muzzle loader. A third and more tangible link with Michael's past is still in existence, in the form of a Bible presented to him by the Rev. Edward Simons, Rector of Sturston, Norfolk. The inscription reads: "This is the true word of God, which alone can teach you what you must believe, and so to obtain spiritual life here, and eternal life hereafter. Read it with careful prayer to God, for the teaching and help of the Holy Spirit, and it will make you the wise unto Salvation through faith, which is in Christ." The following outline of Michael's life in Van Diemen's Land and Tasmania is as presented by the late Edward Garrett Scott, highly regarded local historian, in Michael Walker, His Life and Times — a paper delivered at Westbury on 2 March, 1985, as one of the highlights of the Walker Family Reunion. 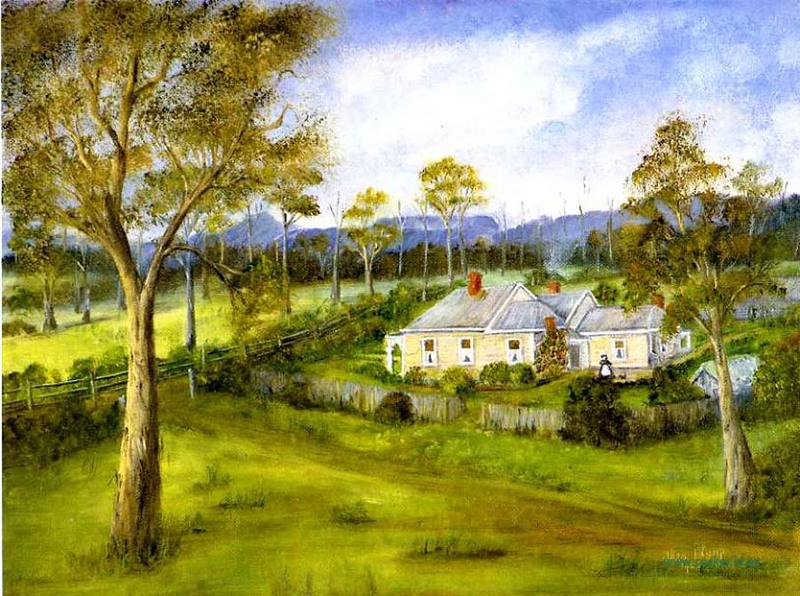 The family arrived in Launceston, Tasmania in March 1842, and settled near Perth on "Annandale", at that time a thousand acre farm on the western side of the Midland Highway between Gibbet Hill and Breadalbane, and extending west as far as "Jessiefield". As already mentioned, Michael and Sarah's fourth son, John, was born at Perth; so too was their fifth son, Robert, and their sixth child and first daughter, Eleanor. 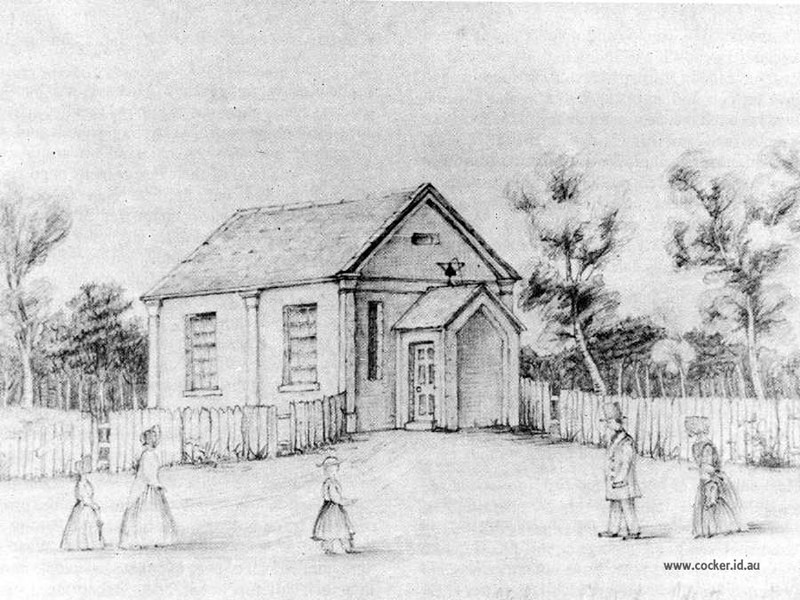 A couple of years prior to Michael's arrival in Van Diemen's Land the Wesleyans had opened a chapel at Salem on the Pateena Road, and it was there that Michael made his debut as a Sunday School teacher, initiating a period of many years' dedicated service to the church. "Gibbet Hill", writes Scott, "which is about a mile from Perth on the road to Breadalbane, was notorious for the fact that a gibbet was situated by the roadside, and was almost constantly in use". "To the uninitiated", Scott explains, "a gibbet was a post in the ground with an arm of wood fixed to the top at right angles, and on this ghastly contraption the bodies of convicted criminals who had been hanged would be suspended by chains for all to see as a deterrent to others." Sarah so detested the gibbet that at times she had difficulty walking past it. Sarah was by no means the only person to be emotionally upset by the sound of the gibbet. "Concerning the gibbet", writes Scott, "there is a story told by that noted evangelist Henry Reed, 4One evening I had to pass by the gibbet. A cloud was flying across the moon and as it passed over, the dim light created a body swaying to and fro in the wind and as it moved the iron chains creaked and jarred with a most dismal sound. I felt inclined to hasten on, but overcame the temptation, and dismounted from my horse, knelt down in front of the gibbet and prayed. Then I got up and shouted, "Halleluja", and rode on to the prayer meeting in Perth! '"Removal from the neighbourhood of the gibbet must surely have delighted Sarah when the family transferred to Hagley in 1846. There Michael rented from the Lyttleton estate a five hundred acre property known as "Greenhills". In addition to farming "Greenhills", Michael had charge of the adjoining property of "Hagley House", then owned by Isaac Noake. Thomas, born at Hagley on 8th February 1848; Mary Ann, on 1st August 1849, at Greenhills; William, on 8th December 1850, at Greenhills; Sarah Ann, on 13th January 1852, at Glenore; Elizabeth, on 1st July, 1853, at Four Spring Plains; Martha, 12th November 1854, at Hagley. The William born on 8th December, 1850, was named after his eldest brother, who had lost his life just one year and four days previously at barely fifteen years of age in an accident at Exton. His name appears with that of his parents on a tombstone in the Anglican cemetery at Westbury. Towards the end of 1854 the family moved to Exton, where Michael spent the remaining forty-six years of his life. He rented "Ti-tree Farm", which was part of the Rev. Samuel Martin's estate, and on 8th June, 1856, Michael and Sarah's last child, Michael, was born at Exton. Their first grandchild, Samuel Francis Walker, was born at Exton on 29th September, 1862. The period from 1855 to 1888 may be regarded as Michael's heyday. His friends and neighbours accepted him as a leader in church and municipal affairs, and he appears to have been regarded as a prosperous and progressive farmer. In matters agricultural and pastoral he may well have felt that he was following in the footsteps of the famous innovators of his native Norfolk; in his material position as an employer and man of substance that he had crossed a great gulf from the position of labourer to that of gentleman. So he was described on his marriage certificate when he wed Margaretta Shaw in 1893, so he appears to be in his portrait, and there should be little doubt that his associates accepted him as such. A great source of satisfaction to him must have been the opportunities available to his children in Tasmania compared with those on offer in rural England, and the better prospects of maintaining higher moral standards. Throughout and in the background of Michael's various activities Sarah bore the burden of raising a large family under pioneering conditions, and of providing hospitality as required. She was first and foremost a mother. Sarah lost only two of her thirteen children, one at sea under conditions that must have been anything but favourable, and the other as the result of an accident. The other eleven survived to an average age of 68. Her five daughters followed in her footsteps as good mothers and housewives, averaging a dozen grandchildren apiece. Of the first seven of Sarah's surviving children, six named a child after her, so that at one time the family boasted four first cousins who rejoiced in the name of Sarah Walker, plus two additional first cousins named Sarah Appleby and Sarah Richardson. The situation appears to be almost unusual enough to warrant the attention of Robert Ripley. 1888 was a bad year for Michael. He not only suffered a severe accident when his horse fell, but lost Sarah after fifty four years of married life on 3rd December of that year. As a result of the accident he retired as Sunday School Superintendent, son Thomas taking his place. Sarah was buried at Westbury. She had been bedridden for some years prior to her death, requiring the services of a housekeeper, Mary Patfield, who subsequently stepped into her shoes. On 8th January, 1890, Michael married Mary Patfield at the home of Mr. and Mrs. Charles Best, King Street, Westbury. The ceremony was performed by Rev. Henry Saloway according to the rites of the Wesley an Church. A newspaper commented as follows: "A wedding took place recently in the Exton district by which two well known old residents were united together. Their ages amounted to over a century and a half, their difference being only two years (76 and 74). The bridegroom had sufficient grandchildren and great grandchildren to populate over 100,000 acres, whilst the bride had no relations nearer than England. Both however, had a fair share of this world's goods." On 18th March, 1893, Michael was married to Margaretta Shaw, a widow, according to the rites of the Baptist Church, pre-deceasing her on 9th August, 1900, at the age of eighty-eight years. He was buried at Westbury, beside his first wife Sarah and first born son William. The family founded by Michael and Sarah in the southern hemisphere has multiplied rapidly, extending not only throughout north-western, northern and southern Tasmania, but also to mainland Australia and New Zealand. The total of their descendants is now in excess of nine thousand, with the title 'clan' more appropriate than family. The clan is comprised of eleven branches. Each branch in turn includes a number of families. The terms clan, branch and family will be used in the above sense throughout this book. Michael's eleven children will be referred to as the first generation, their hundred and seventeen grandchildren as the second generation, and so on. As an example, the family recently commenced by Stephen Dobson would be mentioned as a fifth generation family of the Dobson branch. Each of the eleven branches has contributed a section to the history, basing its contribution on material collected and written up by its members. General sections have been compiled by a team drawn from the family committee. The fact that the family had grown to the proportions of a clan was amply demonstrated at the Family Reunion held on 2nd and 3rd March, 1985, at Westbury and Spreyton. A total of over two thousand people participated in a series of functions. They visited family graves in Westbury cemetery and places associated with Michael and Sarah, packed Westbury Town Hall to enjoy an excellent historical address by Edward Garrett Scott, watched with approval the acceptance by Westbury Council of a memorial park bench and tree, lingered over the displays of family memorabilia, and joined with enthusiasm and reverence in the hymn singing at the magnificent outdoor memorial service conducted by Dr. Jillian Tabart. Cousins attended from mainland Australia and New Zealand, from youngest in arms to Mrs. Eleanor James (92) and Harry Scott (90) who shared cutting of a large four part cake.